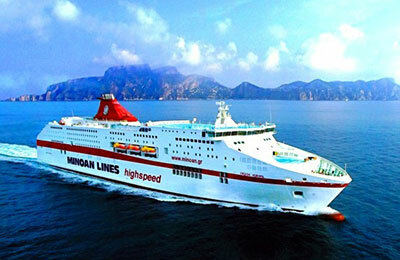 You can use AFerry book a Minoan Lines ferry to Italy and Greece including the Greek islands of Crete and Corfu. Minoan Lines' modern air conditoned ferries offer a full range of on board facilities and AFerry always has cheap prices Minoan Lines Ferries and the latest special offers. You can use AFerry to book Minoan Lines ferries to Ancona, Trieste, Igoumenitsa, Patras, Corfu, Venice, Heraklion, Piraeus and many more. For all Minoan Lines routes and for the latest prices and sailing times see below. Click on your ferry route for a detailed Minoan Lines timetable with arrival and departure times. 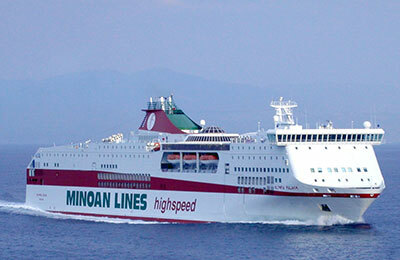 Minoan Lines operates a modern, well-equipped fleet of ferries which offer passengers a wide range of facilities. 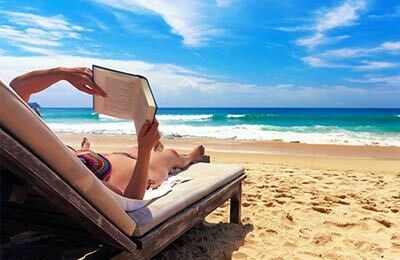 On board you will find full and self service restaurants, internet access rooms and shops. On some ships you may also find a summer time swimming pool, bar, disco and even a gym. Of course, all their ferries offer a wide range of seating and cabins and they even provide room service if required. Whether you use the Minoan Lines Ancona Igoumenitsa route, the Minoan Lines Venice Corfu ferry, the Minoan Lines Heraklion Piraeus line or any other route with this famous Greek shipping company you are bound to have a pleasant and relaxing journey. So what are you waiting for? Book now! Booked out ferries from Mykonos to Paros from home and found the whole booking system excellent, and the boat (Minoan Lines) was also really good. However, we went to the ticket window at Mykonos to get our paper tickets and were repeatedly told we didn not need them. When we tried to board the ferry of course they demanded paper tickets, and it was only because we were already afloat that we got on at all. They checked our booking and we were on their list but it was a very stressful moment being told initially that we didnt have a valid ticket. The Paros port experience in contrast was absolutely fine, they found our booking easily and issued paper tickets. So - beware - make sure you insist on getting a paper ticket if you meet the same grumpy guy on the desk that we had in Mykonos! Boat was delayed by 4 hours necessitating expense of a further overnight stay in Italy - compensating of 20 percent discount on next journey with Minoan useless for anyone not travelling with them again. Ferryport remote and difficult to find. Open deck puddled with dog urine (why are dogs allowed on board?). Forward lift scarily not working (shaking and going nowhere, not much note of it when reported to purser). Few other staff on hand to help. Salon seat covers dirty and torn. You have to accept that loading and unloading takes time and that travel by ferry is time consuming. We book a cabin and slept through the night. Unloading at Ancona to a long time I think due to the port at Acona that was not built to handle the traffic particularly the heavy trucks. We will be happy to use this route again. Ship we travelled on was the Cruise Olympia which is quite tired beds need up grading mattress not good We have travelled this route for years prices have increased a lot quality not! Difficult to find reception from the car decks and then the car decks on leaving.